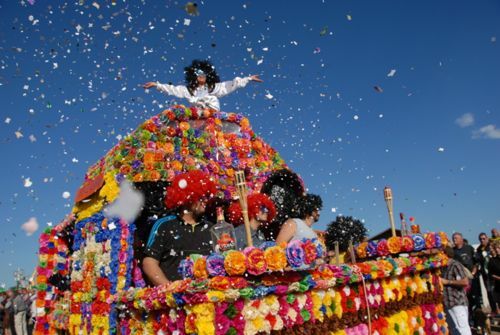 The highlight of Les Cypriales, the carnival of Saint-Cyprien will take place Sunday, May 3 in Saint-Cyprien beach. More than just a carnival, from 10am a variety of entertainment is planned in the quartier Rodin, from inflatable games, face painting, carousel, giant cuddly toys to demonstrations from the St Cyprien Associations. The parade itself will be launched by the Mayor, Thierry Del Poso at 15h in the quartier Rodin. Around 15 floats made by clubs in St Cyprien but also Montescot, Elne, Alénya, Palau Del Vidre and the community of communes Salanque Mediterranean will be accompanied by bandas, the Harley Davidson and 2cv Club. After the parade in the streets around the beach, the whole processions is expected to arrive at the port of Saint-Cyprien around 18pm.